Kenworth T880 | CSM Companies, Inc. The work you do requires everything you’ve got and then some. True too for your trucks and the people who drive them. 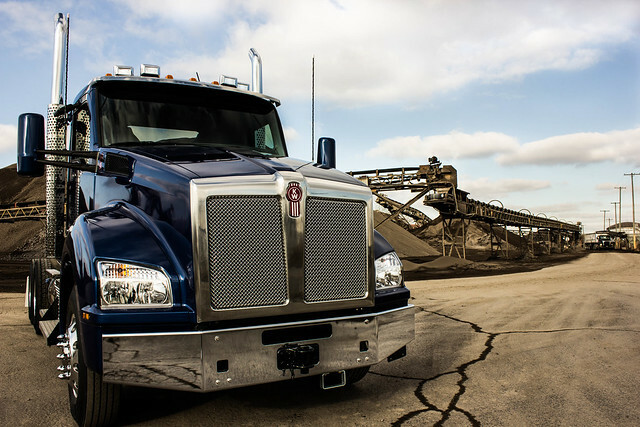 With the Kenworth T880, you’ve got a dependable, versatile vehicle capable of performing your toughest jobs productively and efficiently. Day in, day out. A truck designed at its core with the strength, stamina and operating economy you need to move your business ahead. Custom-engineered from bumper to taillight, the T880 is the most versatile vehicle to ever roll off an assembly line. Distinctively Kenworth, this bold new truck is as comfortable hauling 140,000 pounds over the Rockies as it is navigating city streets with a tanker full of fuel. It’s the tough-minded choice as a dump truck, lowboy, logger, concrete mixer, refuse transporter, construction or oil field service vehicle. You name it. The T880 cuts all the big jobs down to size.